This is the popcorn oil the cinemas use. It is coconut oil with beta carotene added to get the rich buttery colour. 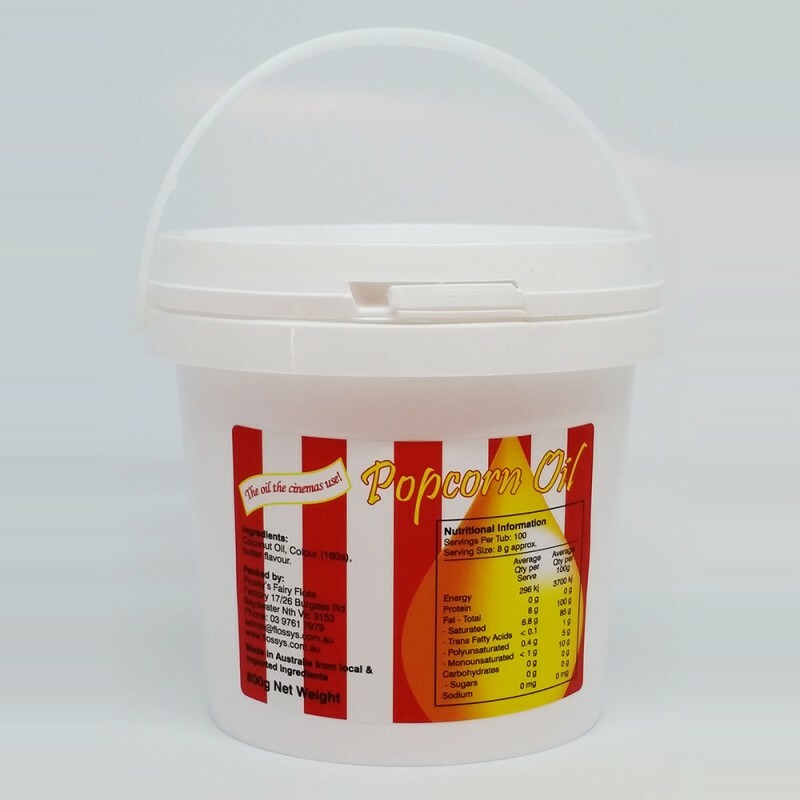 If you want to make cinema popcorn, then buy this product! This quantity is sufficient to make over 100 of our bag serves of popcorn.